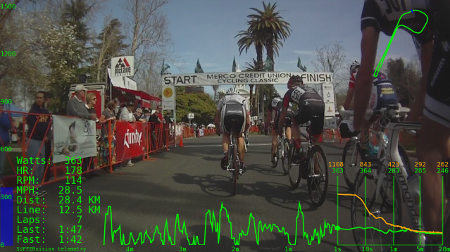 SUFFERvision is a tool for integrating bike race videos with power meter and GPS telemetry. The web version has additional features, better interactivity, and more active development. Check it out! Share videos on Youtube that tell the story of your ride, race, or Strava KOM. Analyze an athlete's performance in the context of the race. Make videos to motivate your efforts on the trainer. Display realtime power via an Ant+ USB stick to reproduce race efforts on the trainer. Simulate a realistic pace by linking video frame rate to realtime power.